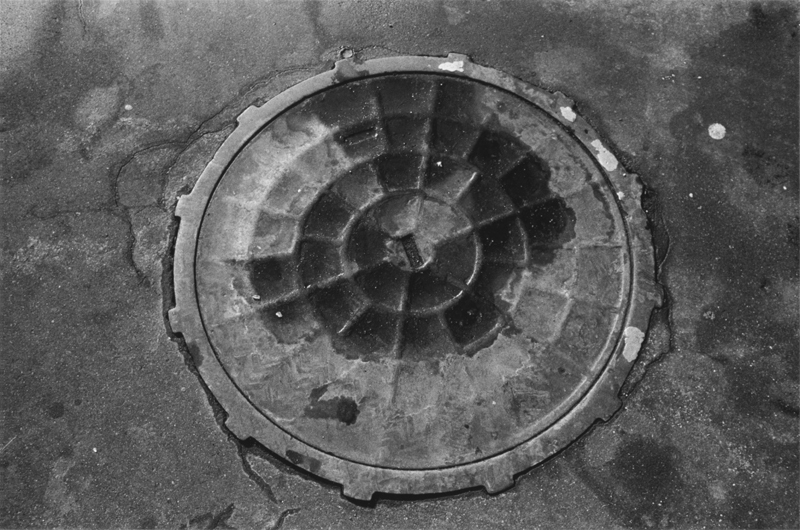 Manhole #15, from the portfolio: 27 Manholes, 1969-1971. Silver gelatin print, 9"x6", printed 1969-71. From the Joseph Dankowski Archive. $2,500.00 with the artist's stamp on reverse and certificate of authenticity. Insured shipping included.